Can’t wait to get your hands on Apple’s iPad Air? Well, if you can wait—until Black Friday—it looks like you’ll get a much better deal. Apple’s newest tablet – 20% thinner, weighing just one pound, with faster wireless, lots of built-in apps, and designed to actually work with iOS7 — is guaranteed to be a hot Black Friday commodity. At this point, the best deals appear to be coming from Target, Best Buy and Walmart. The cost of an iPad Air with cellular service will depend on your provider and where you are in your contract. As a new customer, the big three providers (AT&T, Verizon and Sprint) charge $529 for an iPad Air with a two-year contract. Target has the best deal for the iPad Air, offering it on Black Friday for $479, plus a $100 Target gift card. The offer starts at 8 p.m. Thanksgiving Day (supplies are limited, no rain checks, gift card subject to terms and conditions, etc.). Another note: gift cards are also being offered on all iPads at Target, so expect the Apple aisle to be positively hopping with people. Next best is Best Buy, which has knocked its Black Friday price for the iPad Air down to $449, $50 off the Apple retail price. If you are looking for other Apple products, Best Buy is cutting prices $50 to $200 on various iPods, iPads, and iMacs. Best Buy will also be offering online deals starting at 10 p.m. Thanksgiving Day, so additional savings may be planned. Walmart’s price for the iPad Air is $479 right now, and the mega-retailer’s Black Friday preview ad doesn’t mention the iPad Air. Kind of makes you wonder if they have a surprise planned. Be aware, though, if you plan to try to lower Walmart’s price by using their ad match guarantee, you have to make your case in the store on Thanksgiving or Black Friday. Also, they do offer a sweet deal on the iPad mini — $299 plus a $100 Walmart gift card, but it’s got strings – the offer is only good in the store between 6 p.m. and 7 p.m. on Thanksgiving Day. If they run out, they’ll give a Guarantee Card and ship it to the store in time for Christmas. But, as one analyst noted, Walmart sometimes gives tickets to people in line to purchase specific items. If you really, really want it at this price at Walmart, you might have to skip the turkey, hit the crowds—and stay safe. Apple hasn’t announced any deals for its online store yet, but last year, it dropped its starting iPad price to $458, so it is worth checking there before you head out to brave the crowds. AT&T, Verizon, and Sprint are all offering iPad Air with cellular service for $529 with a 2-year contract, and $629 retail. Additional monthly charges apply, and the pricing could change depending on whether or not you already are a customer. The deals are out there! The trick is not to take anything for granted – the Black Friday competition is intense, so keep checking the online ads and look for those last-minute deals. But also, read the fine print—sometimes a good price isn’t as good a deal as it appears. 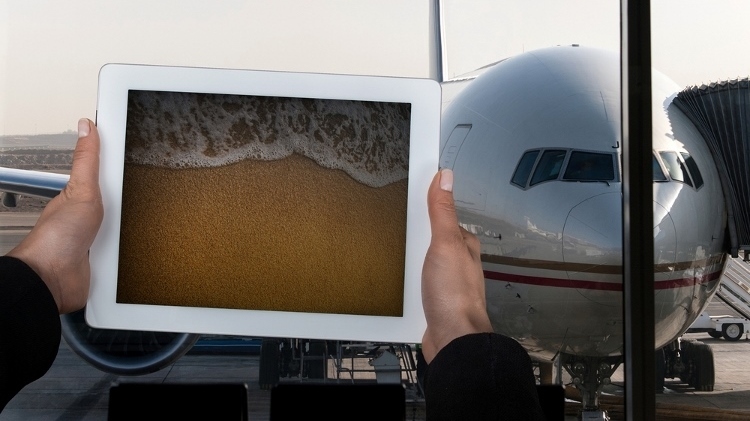 iPad Air photo courtesy of Shutterstock.